Today is the official first day of spring and while it hasn't completely sprung yet, we can feel the warm weather and blooming cherry blossoms on the horizon! The National Cherry Blossom Festival officially kicks-off today too with their annual Pink Tie Party and will be running through April 13th. While it may mean sidestepping a larger amount of tourists crowding the sidewalks or holding our breath when they stand on the left side of the metro escalators (argh! ), don't forget to take a moment and appreciate the beautiful blossoms that will soon be blooming all over our cityscape. 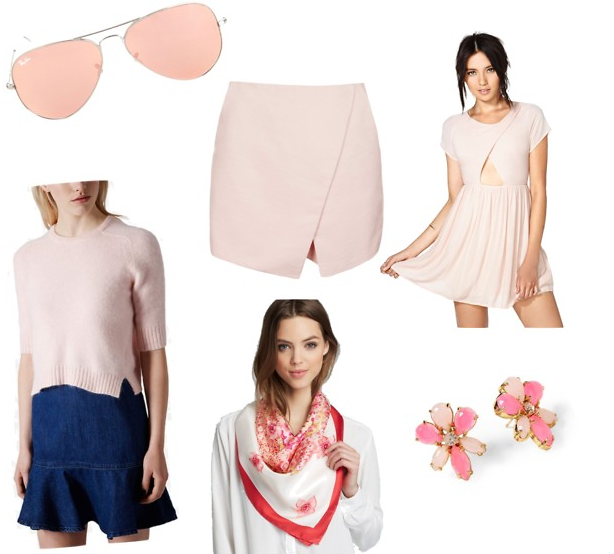 To get in the spirit, we've picked some pale pink pieces to add to your wardrobe that will pair perfectly with the blossoming flowers!